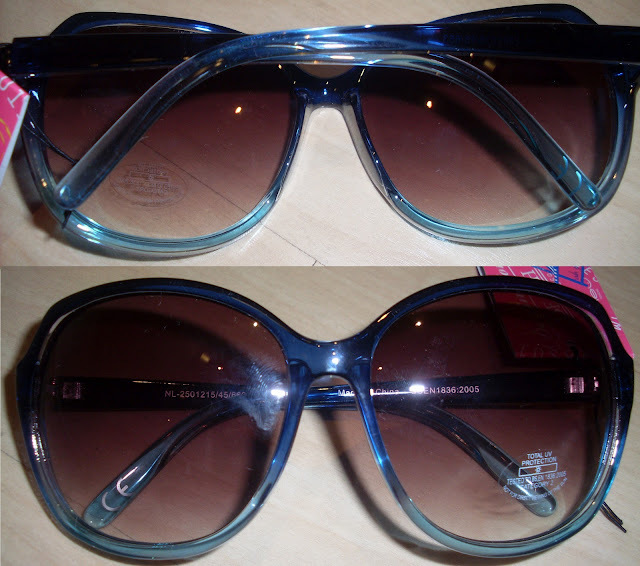 Fashion, Well Done: MY FIRST GIVEAWAY - OPEN INTERNATIONALLY! 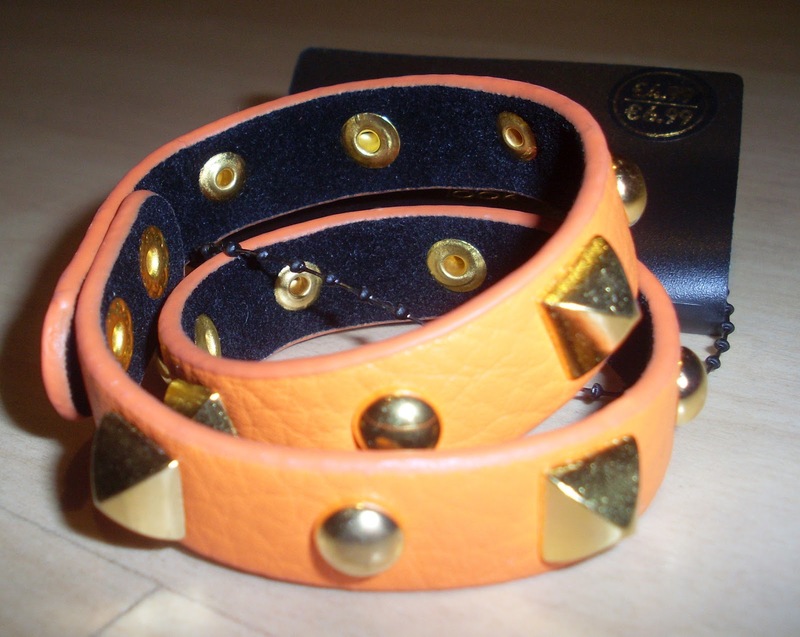 Orange Double Wrap Studded Bracelet. Because not all of my visitors are from the UK, I have decided that the giveaway WILL be open internationally - it make take longer for the prizes to arrive, but it wouldn't be fair to leave our my friends from other shores. So all you have to do to enter the competition is to follow Fashion, Well Done via Bloglovin or Google Friend Connect (see the left sidebar) and leave me a comment letting me know you have done so, your email address an let me know what is your favourite accessory of the moment. I am a follower through Bloglovin. My favourite accessory has got to be belts I have tonnes of them in fact I have so many I hardly get chance to wear them all! I'm now following you via Bloglovin. 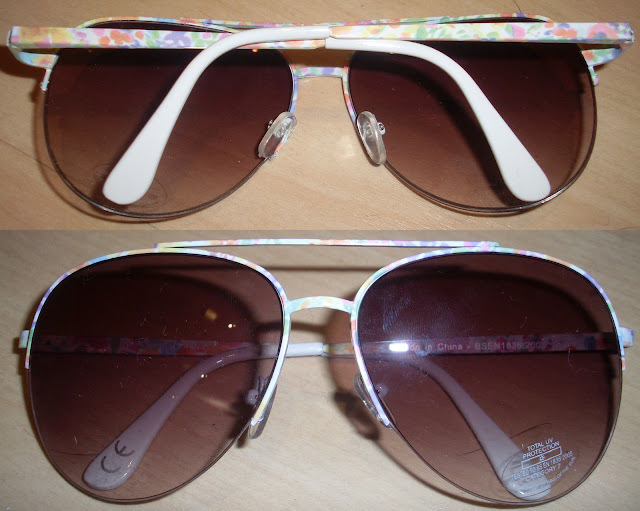 At the moment, I'm loving sunglasses (got to love sunny autumn days!) and layering bracelets! my favorite accessory now is bracelets. LOVE that necklace, so gorg! favourite accessory? anything studded or feather earrings - so 95% of my items at the moment haha! I love the studded bracelet, i love anything with studs at the moment makes everything seem better. My favourite is the rainbow spiked bracelet by far, I would personally wear it with a simple white vest and pair of skinny jeans teamed with a bright pink or orange lipstick. I am also currently holding a massive beauty giveaway on my blog - simply leave a comment on my latest post to be in with a chance of winning a goody bag featuring products from Lush, Montagne Jeunesse and Eyelure to name a few! I wasn't following already, though I don't know how - sorry!! Now following on GFC. My staple accessory is belts although I do love a drapy necklace too. I'm loving stacking bracelets at the moment! 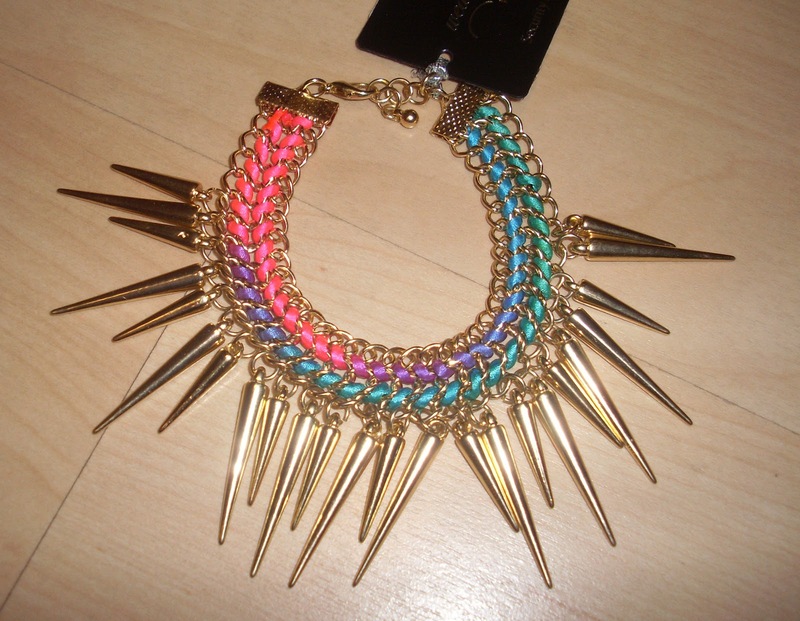 And the rainbow spiked bracelet would look so good! My favourite accessory might be feathers right now; earrings and other jewellery and on hair aswell. I'm following by gfc as mandy83. My favorite accessory of the moment is knuckle rings! I follow you on GFC and I would love those blue framed sunnies! I think my current favourite accessory is a wide black elastic belt. I'm wearing it with almost everything at the moment. 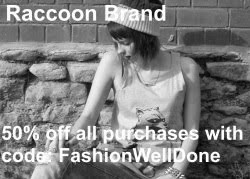 super-great prizes and sparkly thanks that you extended it to INT'l blog lovers ,too! I am following on GFC. My favourite accessory is my TED BAKER sunglasses my emaili is jazzbal123@hotmail.com love your blog!! Hi, found you through fluff and fripperies, great prizes following on twitter @pwincessjane. As promised I to would love to enter. I follow with GFC. Sorry Gem forgot to add my details. Great giveaway, I'm following via GFC :) My favourite accessory has to be a nice studded handbag, I love the orange studded bracelet! My Favorite is Orange Studded Bracelet. My favorite accessories are definitely earrings! I'm following you on GFC as Ore Akinwale and I'm really loving statement necklaces! Oh, whoops! :S My favourite accessory at the moment is a necklace that has a long silver chain with a crystal wrapped in black leather. Goes with everything and I love it!